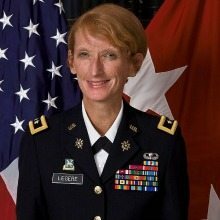 Lt. Gen. Mary Legere will keynote the Intelligence and National Security Alliance’s fifth annual Achievement Awards come Nov. 13. Legere is the current Deputy Chief of Staff for Intelligence of the U.S. Army. Founded in 2010, the event aims to recognize entry- and mid-level professionals who are succeeding within the intelligence and national security sectors. Richard J. Kerr Government Award – David Wilson, National Security Agency. For civilian government employees up to and including GS-13/equivalent rank. INSA is accepting nominations until Aug. 15 from individuals within government, academia and the private sector. Last year, WashingtonExec interviewed the award nominees. Read our coverage here.